Last December I wrote a post looking back on 2016 to see how far I had come despite the rejections (why are they always the easiest to recall???). The curious may find that post here. This year, I joined children’s author Julie Hedlund’s 12 Days of Christmas for Writers series. She challenged participants to post SUCCESSES (rather than resolutions) on our blogs this year. She believes the way New Year’s resolutions are traditionally made come from a place of negativity – what DIDN’T get done or achieved in the previous year. Instead, she suggests we set goals for the New Year that BUILD on our achievements from the previous one. I decided to participate in this Anti-Resolution Revolution! In January, I submitted one picture book manuscript and four poems to kidlit magazines, and was ecstatic when one was accepted by Highlights Hello. The personal essay that I was extremely hopeful for in 2016 was officially accepted by Chicken Soup for the Soul! February was mainly revisions and working on the adult manuscript I’m co-writing with two others so I didn’t submit much, just the bare minimum I had set for myself–one PB MS and one short story. But I did survive being the Girl Scout Cookie Chair for my daughter’s troop and feel that’s a huge accomplishment, lol. I entered one of my middle grade manuscripts into a SCBWI contest and submitted a poem, one MG and two PB MSS in March and April. The big thing I did in April was have a book signing for my Chicken Soup for the Soul: Best Mom Ever which was SOOO COOL. Luckily, it was at my best friend’s shop in my hometown so it wasn’t as terrifying as it could have been (and there was wine which always gives courage. Not so much with helping spelling names correctly). And my little sister got married which was a lot of fun! In June and July, I entered another manuscript into a different, regional SCBWI contest and it placed second, and had a dark flash fiction piece two light poems accepted into a fairytale anthology which was great for my confidence because I had been collecting passes like postage stamps for a bit. And Dinosaur Boy turned four which means he’s a big kid now. In August, I had a picture book manuscript accepted, which obviously is a dream come true. More on that here. And in September, a short story cut from my Young Adult MS was a finalist in YA Review Network’s Halloween Contest. In October, I stumbled upon children’s author Susanna Leonard Hill‘s fun contests via Sub It Club which introduced me to SO MANY talented, helpful, and encouraging writers. Not to mention, inspired two pieces I later submitted to magazines. November I gave myself a grace period on the submissions (and I sent in seven submissions in October to make up for it) when I participated in NaNoWriMo for the first time. It was such a great experience that I plan on doing it again in ’18. I didn’t “win” in the traditional sense, but I am the proud owner of 20k words I didn’t have before! And now that we’re to this current month, I hope to hear good things for the two middle grade MSS and one magazine submission I sent out before the holidays! 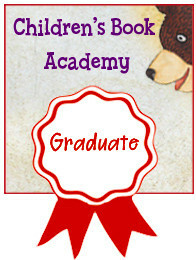 I want to participate in children’s authors BeckyTara Book’s Writing With the Stars PB mentor program in the months to come, and maybe take a few online workshops in the upcoming year. So why don’t you try this? Write out any and all, big and little successes you’ve had this past year to set yourself up for an amazing 2018! Susanna Hill’s 7th Annual Holiday Contest! I had such a fun time with Ms. Hill’s Halloweensie contest (you can read my entry here), that I’m excited to participate in this contest also. As well as revisit my two little characters I’m growing fond of, Bean and Jilly. there’s snow on the ground. In Mobile, Alabama. I told my daughter to knock the snow off her cowgirl boots earlier today and had a moment right afterward. I’ve NEVER UTTERED THAT PHRASE BEFORE. I frolicked in snowfall with my husband and kids last night. I’VE NEVER FROLICKED IN SNOWFALL BEFORE. Lots of exciting moments for us. To put it in context for people who forget about the magicalness of first snowfall–Mobile hasn’t had snow like this since 1942.
the night creatures were stirring; something may have rawr’d. and hopes that coyotes wouldn’t be there. the two kids had set up quite a nice camp. in hopes that Saint Nick might appear in their sight. but something dark, shadowy, and brash. got caught in the zipper, and tore open the sash. an elf or a sleigh? No, a raccoon in a tree! Jolly ol’ Santa couldn’t possibly be on it. from the black mask over its eyes to its tiny sharp claws. Its eyes how they glittered! Its whiskers, how they twitched! “Give it our snacks!” Jilly exclaimed as a cherry she pitched. soon let the kids know no danger it posed. the raccoon wouldn’t bring the rest of its pack.